How can I apply the technique to songs ? The reason for taking singing lessons is to learn how to sing songs, not exercises. The exercises we give you serve the purpose of training your neuro-muscular system to respond in a particular way to help your voice stay in a healthy balanance throughout your range. When it comes time for singing songs however, many students find that their old singing habits kick back into gear. Remember that the exercises use limited vowels and very orderly scale patterns. Songs can use difficult vowel/consonant combinations and will often jump all over the place melodically. Also, when you are singing songs your sense of vocal style is called into play, and style can often pull us off of our pure technique. 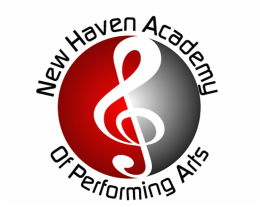 Also, if you (like most singers) came to New Haven Academy of Performing Arts after having sung for a period of time (even in your car), you are still going to be struggling with muscle memory from old singing habits. These habits seem to almost "live" in songs.It is important for you to be very patient while you are learning how to apply technique to songs, and also make sure that you bring the songs that are causing you problems to your teacher. Sometimes it is just a matter of a small vowel adjustment or a relaxation of facial tension that is needed. It is all too common for students to come to lessons for exercises but go home and try to apply the technique they are learning to songs all on their own. Remember, your teacher is there to help you achieve your vocal goals as quickly as possible and with the least amount of frustration. Bring the songs you are singing to your lessons. Let your teacher help you with them. Singing songs can often be quite challenging. Be patient, and work with a well-qualified teacher, and you will be singing those songs well before you know it! This is definitely a "Frequently asked question." Many vocal systems have been built claiming that you can train your voice to scream in a healthy way. These systems are either teaching a technique that 1) simulates a scream, 2) mitigates the damage caused by screaming, or 3) are simply teaching harmful techniques in order to cash in on a singer's desire to become a rock star. Obviously the first two options are the ones that I would agree with. An actual scream causes the vocal folds to slam together and often engages the use of the false vocal cords. Strain in either the false or true cords will, over time, cause the development of vocal nodules on the cords which will either have to be surgically removed or treated with complete vocal rest and therapy. Metal singers and other types of rock singers who require the use of a scream sound need to learn how to accomplish this sound with the minimum amount of damage to the voice. It is next to impossible for a metal screamer to be able to use their voice in a legitimate singing manner after the wear and tear on the cords caused by true screaming has occurred. Remember this when choosing a potentially damaging vocal style. You may like "singing" in this manner now, but what about later in your career? If you are certain you will not want to use your voice in a balanced manner in the future, then go for it. Blow out your voice and enjoy yourself; but just remember that you I warned you that your voice could be permanently worn out. Other than actually screaming, many good rock artists use the microphone to great effect. A very soft cry type of sound highly amplified (kissing the mic) can sound quite "screamy." There are also so many distortion effects that guitarists use that sound awesome when used by vocalists. These effects give a much edgier scream sound than you could ever accomplish on your own, plus you are saving your voice undue wear and tear. If you are a true screamer, please find a good voice teacher to work with so that between gigs, rehearsals and recording sessions you will be able to at least find some sense of vocal balance and mitigate as much damage as you can. I don't have any vibrato, is that a problem if I sing pop ? When you sing in a connected manner through Mix Vocal Technique there is a natural vibrancy which occurs. We call this vibrancy "vibrato." There are two types of compression in the vocal folds when you sing properly. One is the pressure coming from the adduction of the vocal folds themselves as they are drawn together, and the other is air pressure coming from the diaphragm which presses against these adducted vocal folds. In healthy singing, there is a constant cooperative contest which exists between the two pressures: to blow the cords apart and bring them back together, over and over again. This contest is what causes sound waves to occur from the vocal folds. When there is a good balance between these two pressures, a natural "spinning" type sound occurs called vibrato. When you are singing with no vibrato, or with a straight sound, one of these two pressures is out of balance. The types of sounds which can occur when balance is not maintained are breathy, yelled (or pulled), falsetto, wobble (wide and slow vibrato), or tremolo (quick vibrato like a machine gun or a goat bleating). There are types of music where a full throttle vibrato is not appropriate, but that does not mean that vibrato should be removed from the voice. Removing vibrato from the voice simply means removing balance, and this is unhealthy singing. A healthy vibrato does not call undue attention to itself. The last thing you want people to say about your performance is, "wow, that was some vibrato!" Vibrato is necessary for healthy singing. Vibrato is natural to all voices. To say that you don't have any vibrato at all is not entirely accurate. What you are really describing is the fact that you have not yet found a balance between cord adduction and air-flow. This balance is a primary focus of all good vocal technique, and is a factor in giving singers who use Mix Vocal Technique the feeling that they are singing with the same release and freedom as when they are speaking. Is it true that if I take voice lessons I'll sound like an opera singer ?That is an excellent question. Have you ever heard of anyone going to the gym and saying, "Oops, I look like a body builder, how did that happen?" Of course not. If you lift weights you can grow more muscles and get in great shape, but looking like a body builder takes a major commitment. You have to be in the gym 2 hours per day, 6 days per week and follow a very strict diet. This same concept can be compared to building an operatic sound. Operatic singing requires a singer to carry their voice across an orchestra while being unamplified and sustain this volume for several hours, several days per week. Therefore, the singer of this style of music is required to train very hard, much like an athlete. I assure you that a true operatic sound will not happen by accident. It is a sound that is achieved only after investing much hard work and sacrifice. There are healthy and unhealthy techniques of singing any kind of music, including opera. The healthiest singing technique is based on very old principles which were developed over many years starting as far back as the Seventeenth Century. Many people refer to this historic vocal technique as "Bel Canto" which means literally "Beautiful Singing." Mix Vocal Technique is a process by which we are able to train the voice using old-style Bel Canto principles in a modern and uncomplicated manner. This technique can be adapted to all styles of singing, including opera. The fact that Mix Vocal Technique is used by so many award-winning singers of differing styles is a testament to its versatility and sound technical precepts. How do I learn to Sing those really fast note patterns ? In pop, rock and R&B styles of singing the quick passages you are referring to are commonly known as "riffs." Riffing is something that is very popular at this time. In the operatic and other classical vocal genre, riffing is known as coloratura. Fast singing is something that some singers seem to be able to do quite naturally, but others seem to struggle with. In order to sing coloratura well, the voice must be very flexible, the larynx at a comfortable neutral position (floating, not jammed up or locked down), and there must be a perfect balance of cord connection and air flow. How do I sing higher notes without straining ? like swallowing , chewing, articulating and yawning), and the inner muscles (which operate your vocal cords allowing them to stretch, adduct, thin and shorten). The outer muscles get used quite a lot. Think about how often you swallow. If the pitch-making muscles (inner muscles) are untrained it would make sense that they could easily be over-powered by the outer muscles which have been used every day of your life so far. This kind of muscle recruitment is a similar concept to a person with weak abdominal muscles who tries to do a set of sit ups and gets a sore neck -- The neck muscles are stronger than the abdominal muscles so they try to help with the activity. When you talk, you only use a limited pitch and dynamic range of tones, so it doesn't require a great deal of cord tension to create those tones. In order to create higher pitches your vocal cords must be able to achieve greater degrees of tension. Increased cord tension is what brings your cords back together more quickly each time they are blown apart when you need to sing a higher tone. If your vocal cords and the other inner muscles of your larynx are weak and uncoordinated, your outer muscles will be recruited to help; however, any outer muscle participation in the vibration process will only cause you vocal problems by pulling you off your speech-level. We use a system of specialized vocal exercises that help to retrain your neuro-muscular system to accept your voice’s functioning so that tension from the outer muscles will disappear. You will then be able to sing with release, a condition in which your voice works without your having to think about it, or do anything to it. Is it possible to sing with a cold ? Yes, you can sing with a cold but only if you absolutely have to. The rule of thumb is that if the gig isn't paying you well or if the performance isn't crucial to your career it's best to just rest if you are sick. When you get a cold, mucus develops in your sinuses and drips down onto your vocal folds causing them to become irritated, inflamed and swollen. This makes good singing very difficult, if not impossible. This is the reason singers are often accused of being "germ-a-phobes" or hypochondriacs. We just don't want to have to deal with the down time that comes from being sick. The germs that cause colds are omnipresent and can best be avoided by frequent hand washing. You can keep hand sanitizing liquids with you as well. I recommend that you always wash your hands frequently and always after you have touched public surfaces or shaken hands with someone. Also, keep yourself healthy. Diet and exercise play a big part in staying healthy. Keep your body safe from abrupt temperature changes. Don't allow yourself to get a chill. Make sure you get plenty of sleep each night and by all means keep your stress to a minimum. If you have done what you can, but you still get that cold and absolutely MUST sing, there are still a few things you can do so that your performance is not a disaster. First, be very careful of using over-the-counter cold medications. Most decongestants cause a drying of the vocal folds that make singing harder than it was with the congestion. Also, decongestants make some people very jittery which doesn't help you sing well, let alone feel at ease on stage. Drinking LARGE amounts of water the very second you feel the cold coming on is a good idea, but be careful to decrease the water intake several hours before you have to be on stage, since bathroom breaks may be few and far between. Throat sprays can make you feel a little better, but have no real effect on the voice. Avoid any kind of spray that anesthetizes the throat. One of the best kept secrets for singers is a product called Alkalol. No, that's not "Alcohol" it's Alkalol. This is a mucous solvent that you can use by gargling or sniffing up your nose. It's used by professional singers the world over. Another good technique to use when you have "gunk" on your cords is vocalizing with steam. Take a personal steamer (from the drugstore or our product site) and set it up on a table next to where you are vocalizing. Each time you take a breath to sing an exercise, take a breath of steam. I have used this technique for years and it works like a charm! Vocalize very gently at first when trying to sing over a cold. Little by little the cords usually respond to the exercises and the steam and will often even reduce in swelling. Healthy vocalizing in this manner can do more for the voice during a cold than anything else, provided that the cords aren't too swollen or irritated. If the cold has moved into the chest however, it's usually not a good idea to sing at all. Should I stay away from coffee before a performance. Why ? Not only coffee but caffeine in any form should be avoided before a performance. The reason for this is that caffeine is a diuretic and causes dehydration. When the body has any level of dehydration, the vocal folds are one of the first organs to suffer. The vocal folds need to be very hydrated in order to function properly. It is important when you are performing to have the voice in prime condition. Also caffeine can contribute to nervousness and cause you to be jittery on stage. Even if caffeine doesn't seem to normally have that effect on you, on stage you may notice a huge difference. It's best to be as stress free as possible prior to performing. How does drinking alcohol affect the voice ?Alcohol, like caffeine, dehydrates the body and thus the vocal folds. The condition of dehydrated vocal folds makes for an inferior singing instrument. In addition to the physiological problems inherent in alcohol, anything that distorts the mind or nervous system is going to impair the vocalist's ability to sing properly. An occasional glass of wine or cocktail will not destroy your voice, however drinking alcohol even a day or two prior to singing is absolutely a bad idea. Is it true that smoking is bad for the voice ?Remember that whatever you breathe moves directly through the vocal folds and affects them accordingly. Smoke of any kind is hot and toxic. It causes burning, drying and irritation which in turn causes the vocal folds to swell making a good singing tone difficult at first and over time impossible for the habitual smoker. Young peoples' bodies seem to be resilient and thus young singers who smoke may not notice any ill effects, so they may think that smoking isn't doing them or their voice any harm. What they don't understand is that the damage that is being done to the vocal folds and the breathing mechanism is cumulative and often cannot be reversed once they notice problems singing. Our advice is to find a way to quit smoking immediately, and if you don't smoke PLEASE DON'T START. The condition of your voice when you first started training.If you have been singing with poor habits such as pulling your chest voice or using your swallowing muscles while singing then it will take a while to get you unstuck before we can even start the building process. Occasionally a student will come into our Academy with what we perceive as vocal damage. In these rare cases we will send the student to an ENT who understands the singing voice in order to get a doctor’s release before we even start to work with them. A damaged voice can take a long time to heal before any real training can take place. How often you practice.If you only train your voice once per week, you can’t really expect any worthwhile results. If you over-train and sing too much before your voice is ready you can impede your progress as well. Beginners should practice daily for short periods of time and gradually build up their practice times as their voices grow. The quality of your technique.It is possible to take lessons from a teacher who seems to know what they are doing; yet you get worse rather than better. If you have not seen any progress at all and you have been diligent about your practice it may be possible that your teacher’s technique is not right for you. Only you can decide. Most ethical teachers won’t try to recruit students from other studios. You will need to make that decision on your own. Remember that changing techniques will often mean unlearning a lot of what you have been diligently training your voice to do. That is why it is so important to research your teacher's background, training, technique and vocal philosophies prior to committing your self to a course of study. Do I need to be a "Natural" to become a singer? It’s common to hear a teacher say that being a natural is not really required. All you need is to study with him or her and you can be a great singer. I really wish this was true, but it’s not. No amount of training is necessarily going to give you that special something – that X Factor – that makes you a great singer. What training will give you is the proper muscle strength and coordination to operate your vocal instrument properly and get the best possible voice that you can have. Some great singers have never taken a lesson; however, it is also true that many very great natural voices have been destroyed by lack of training or poor training. Some people with seemingly very little talent have worked very hard and built very respectable voices. Then there are the singers who have both a natural gift and work hard to train their voices. These are the artists who are absolutely unstoppable! The quality of your practice.If you are practicing well at home you will make the most rapid progress; yet, if you are mostly singing to the radio and not actually training your voice according to the technique your teacher is presenting, you won’t progress at all. Sometimes people take lessons, but then they start reading books on singing or they buy self-study courses and just pick and choose what they want to do on a whim. Remember: if you were already an expert vocalist then you wouldn’t need lessons. My advice is that you find a teacher you work well with and stick to THAT technique. Practice exactly what your teacher gives you to practice. Once you are an expert you can experiment with your voice. The frequency of your lessons.It shouldn’t be the goal of a good voice teacher to make you completely dependent on them for the rest of your life; however, as a beginner when you are first building your technique it is imperative that you have lessons as often as possible. The minimum of lessons required for beginners is once per week; two to three times per week is actually ideal if time and budget can allow it. Remember that what you are doing is learning habits, and the more you can be in the presence of a well trained singing teacher the faster and more efficiently you will learn those habits.